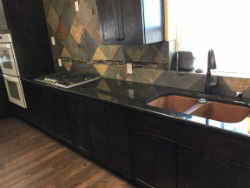 Soma Industries performs exceptional kitchen and bathroom remodeling services for customers throughout Abilene, Texas and the surrounding areas. We are full-service contractors who offer our expertise to cover every part of your home addition or renovation project. Our experienced team of contractors does everything from fabrication and installation of countertops to tile flooring and showers. All of our services include both the initial installation and any major home repairs you may need. We are a family-owned and -operated business that is dedicated to being the best local source for remodeling services in the Abilene area. Since 1997, we have continued to exceed our customers’ expectations when it comes to the quality of our work and the dedication of our workers. 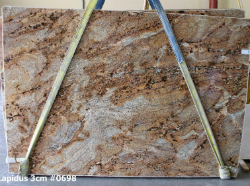 There are many different colors, edging styles, and designs to choose from when it comes to your countertop material. At Soma Industries, we can help you choose the best materials based on your budget and taste. Thinking About Remodeling Your Home? Undertaking a remodeling project can seem daunting at first. That is why Soma Industries makes it as simple as possible! This shouldn’t be a stressful time in your life; it should be an exciting one. That is why we will handle all the hard work and keep you informed on the timeline throughout the whole project. 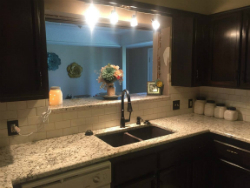 Kitchen and bathroom remodels are typically on the top of most homeowners’ lists of improvements to make to their homes, and remodeling these rooms will yield the highest return on your initial investment. You tell us what you want most from your bathroom or kitchen remodel, and we’ll let you know how we can make it happen. Do you have questions you want to ask us about your upcoming remodeling project? Feel free to give us a call!